Last week's devastating mudslides in Southern California may foreshadow the kind of winter we're in for this year, with a very strong El Niño warming the Pacific Ocean. 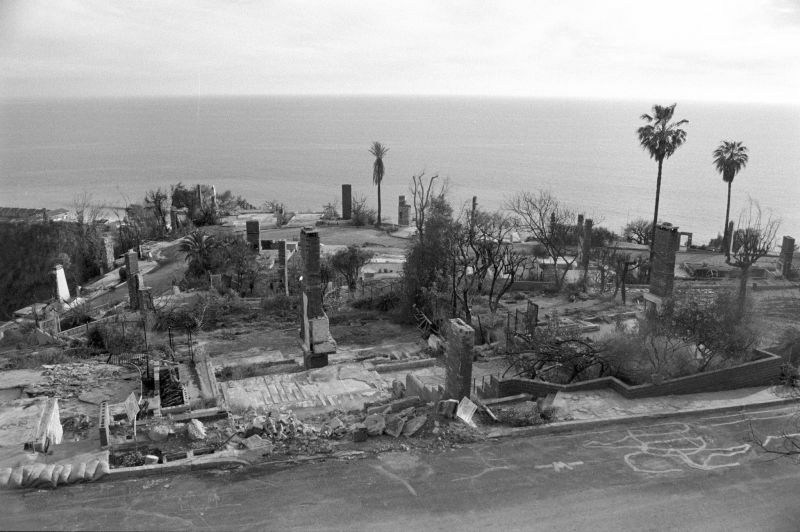 The last severe El Niño winter in 1997-'98 produced some 18,000 landslides in the Bay Area. Maps and computer models made then are paying dividends today as emergency planners use them to forecast what a similar winter in the next few months could do. Already trees are being trimmed, streambeds cleared and stormwater drains cleaned out in response to the threat of rare, extreme rainfall. Before the last strong El Niño, the U.S. Geological Survey in Menlo Park studied how it might affect the Bay Area. The resulting San Francisco Bay Region Landslide Folio of 1997 was used by emergency planners that stormy winter as they managed thousands of landslides. That hard-won knowledge will serve us again this winter, which promises to be a wet one. In the Bay Area, great rainstorms make geological trouble in two ways. First, they wash loose dirt and rocks downhill and create mudflows. Second, after weeks of heavy rain the ground becomes saturated until whole hillsides give way in landslides. When geologists inspected the hillsides above Southern California highways last week and said they were okay, this kind of slope failure is what they were checking for. Together, these land movements move large amounts of rock and soil downhill toward the stream valleys, where the floodwaters can take over and wash it away. This year's El Niño is one of the strongest on record, and NOAA scientists say the Bay Area is likely to get more rain than normal this winter. Add to that the odds of an atmospheric river event, and we might see some 1,000-year events this winter in individual watersheds. What Is a 1,000-Year Event? Weather scientists are calling the epic rainfall events that hit Los Angeles last week, and flooded South Carolina earlier this month, "1,000-year events." The term "1,000-year event" is often misunderstood. Scientists understand it as shorthand for an event with a 1-in-1,000 chance of happening in any given year. So it's a statement about odds, not a length of time. Think of a gambling game with a set of three 10-sided dice. A "1,000-year event" is the same as the odds of rolling a triple-10 -- you'd never expect one but you know it could always happen, even twice in a row. The event might be limited to a specific locality or a span of time, such as a 1-hour or 24-hour rainfall total. Last week in Southern California, 3.38 inches of rain fell on a rain gauge in Leona Valley within the span of an hour. The National Weather Service called it a 1,000-year event, one that was limited to one rain gauge and one hour. And yet a 1,000-year event, large or small, is momentous and historic. Geologists are interested in these events because that's when streams and rivers turn into the Incredible Hulk and do some of their most important work. That's when geology comes to life. Large flows of dense, mud-charged stormwater can bulldoze anything in their path. They can burst dams. It is 1,000-year floods that dig out and renew riverbeds after many years of silting up. Over a million years of geologic time, it's a thousand 1,000-year events -- not ordinary rains -- that sculpt our landscape into its basic shape. 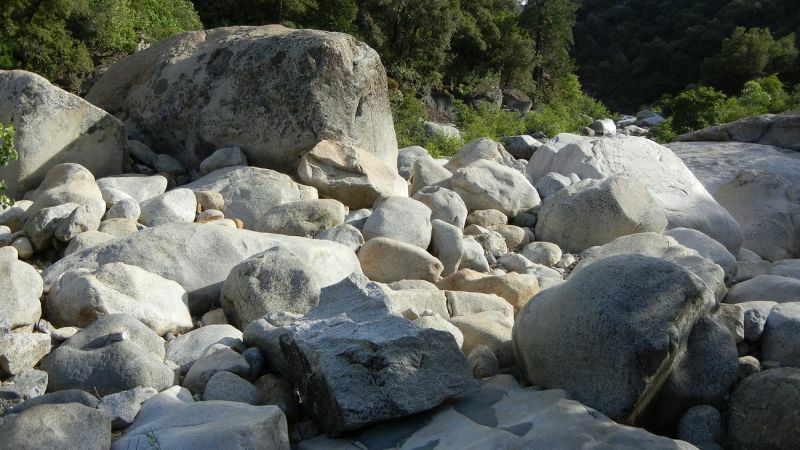 If your local streambed has supersize boulders in it, 1,000-year events wake them up for a rare roll downstream. If you can listen beneath the roar of the river, you might hear the geological sound they make as they tumble underneath the water like giant marbles. Nothing makes 1,000-year events a sure thing. But the historically strong El Niño and the ever-present threat of a "Pineapple Express" atmospheric river event will make them much more likely this winter. If an earthquake happens to add significant ground shaking to those things, the effects may truly be biblical. Earthquakes not only produce widespread landslides on their own, but also shake groundwater out of the hills into streams for weeks afterward. Finally, we have the the complex effects of global warming. The "1,000-year" probability assumes things don't change, and the future will be like the past. That assumption is no longer true -- the future will be warmer and probably more unstable than the past. Climate change is slowly loading those 10-sided dice. In brief, keep your eyes and ears open this coming winter. The authorities will have up-to-the-minute advice as the El Niño storms loom and the rain falls.